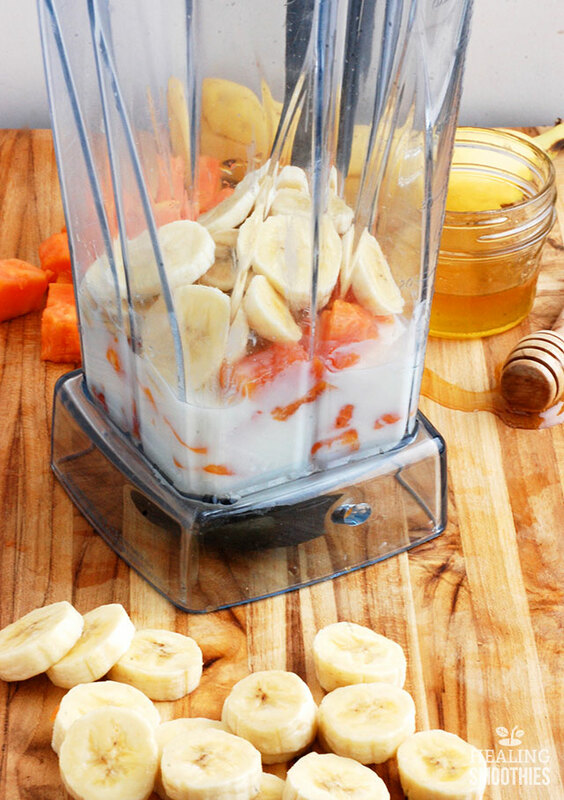 This bright and creamy smoothie is a great way to start your day. 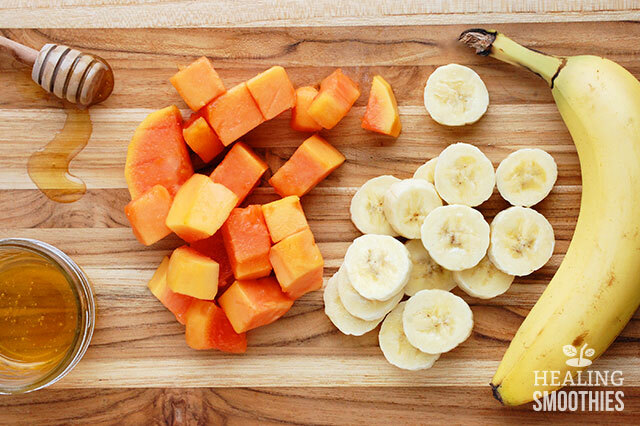 Papaya and banana both support healthy digestion and aid in weight loss. 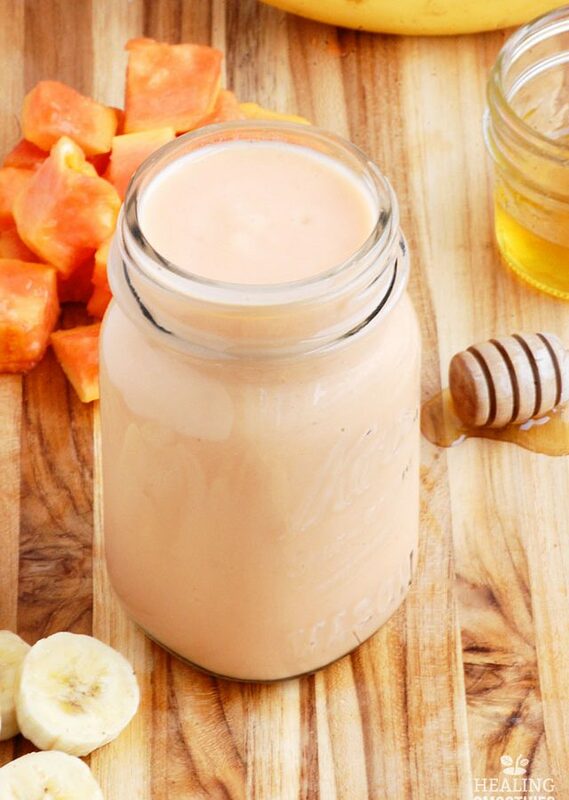 This smoothie makes a filling and nutritious breakfast and can curb mid-morning snacking habits. Bananas are a rich supply of potassium, which provides natural energy to get going in the early hours of the day. 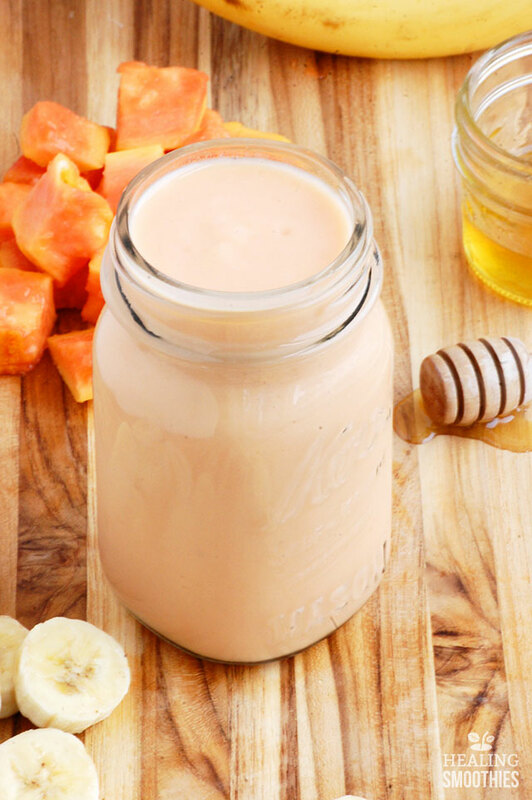 Instead of feeling sluggish after a heavy breakfast, you can whip up this easy smoothie and be ready to go. Potassium is also valuable to your health by regulating the sodium levels in the body and reducing high blood pressure. It lessens the risk of heart disease by preventing clogged arteries as well. Additionally, one serving of papaya will provide your diet with over 200 percent of the daily recommended intake of vitamin C. Vitamin C is a powerful antioxidant that strengthens the immune system and helps to prevent cancer. Papaya has significant levels of vitamin A, vitamin E, and vitamin K too. Bananas are a rich source of a different vitamin. They contain vitamin B6, which is extremely beneficial to your body. It can lower the dangers of type II diabetes by regulating blood sugar levels. Plus, it increases the production of red blood cells and protects against anemia. The vitamin aids in the production of serotonin and dopamine as well, supporting proper nerve function. 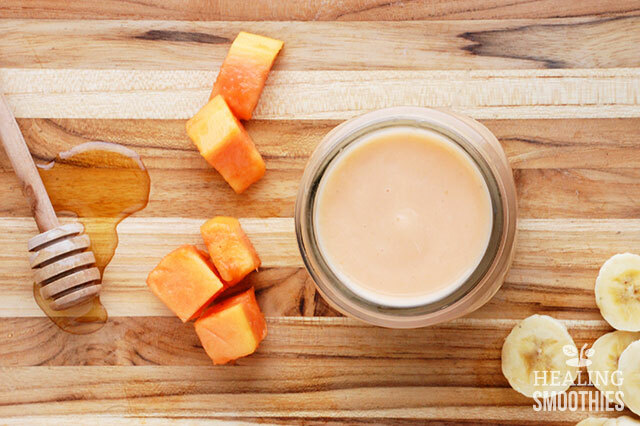 To get the best possible flavor out of this smoothie, use fully ripe banana and papaya. Kefir is used as the base, since its high probiotic content promotes healthy digestion. (If you do not have kefir available you can use almond milk instead.) 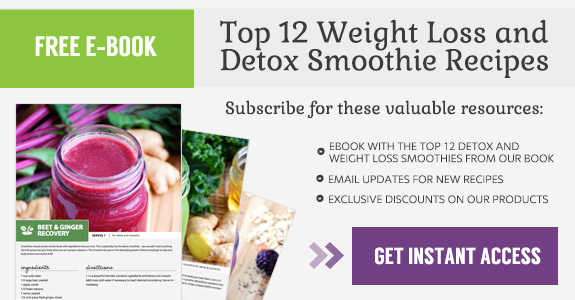 The bright, naturally sweet smoothie can be a delicious treat that also helps you work towards your goals. 1. In a large cup (if using an immersion blender) or a blender, combine ingredients and blend until smooth. Add more kefir if necessary to reach desired consistency. Serve immediately. hullo, thank you for the recipes. i have little kids and their eating habits are bad. which recipe can i apply.